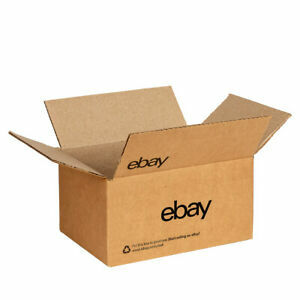 Details about NEW EDITION eBay-Branded Boxes With Black Color Logo 6" x 4" x 4"
Type: Corrugated Box Length (Interior): 6"
There are 3,888 items available. Please enter a number less than or equal to 3,888. Quick response! Fast Shipping! No Problems! Great transaction, Fast shipping, Happy Repeat Customer, THANKS!!! These boxes are way thin. The old blue label was much thicker. Waste of money! !